Joseph Rivera is the founder and creator of coffeechemistry.com. He began his career with the Coffee Quality Institute (CQI) over 10 years ago after receiving with a degree in Food Chemistry. As Director of Research with CQI, he utilized knowledge of chemistry with practical coffee science to develop a number of testing methodologies currently in use today. As such his work has allowed him to play a key role in the development of numerous international training and certification programs including the Q.
Joseph served as the Director of Science and Technology for the Specialty Coffee Association of America (SCAA) from 2001-2009 and served as the coffee industry’s coffee scientist/expert. He has been a frequent contributor to numerous trade publications and has been featured on the History Channel’s Coffee documentary, Discovery Channel, National Public Radio (NPR), Australia Broadcasting Corporation (ABC) and the British Broadcasting Corporation (BBC). Over the years he has conducted numerous training seminars on the “Science & Chemistry of Coffee” to hundreds of people around the world and continues to work on numerous projects utilizing both science and technology for the specialty coffee industry. 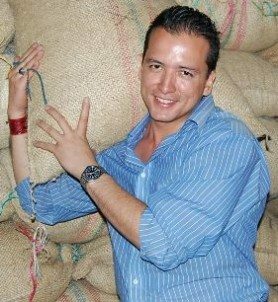 At NBC 2011 he will host a lecture and a cupping with the title “Chemistry Of Coffee”.